A melange of timeless tradition and contemporary style, this palazzo suit is brought to you by the popular brand, Stop. 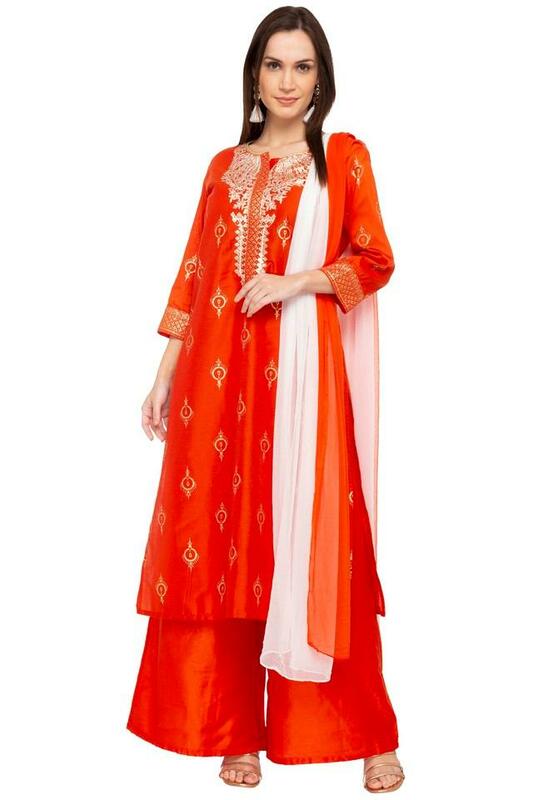 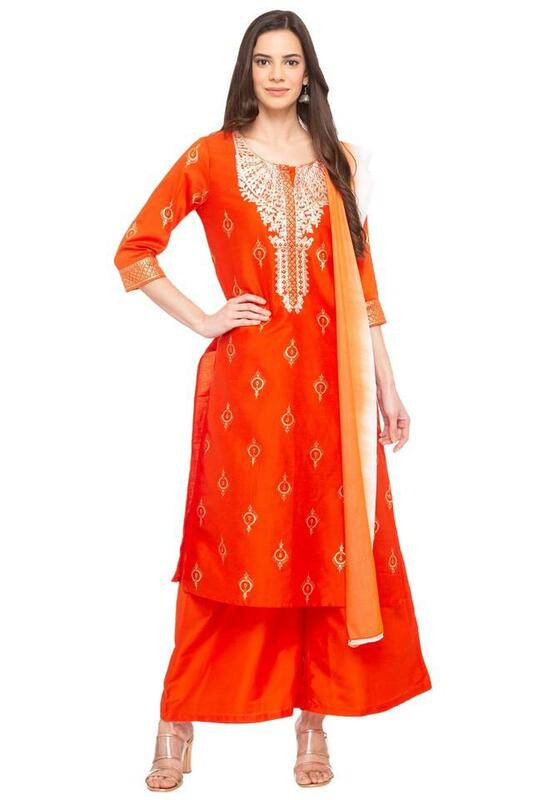 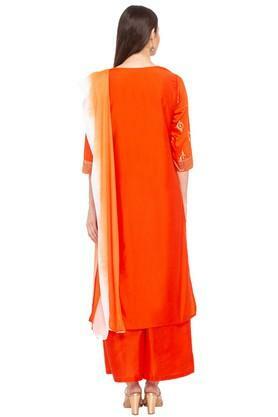 The kurta comes with three quarter sleeves and round neck along with embroidered pattern that lend it a trendy look while the pair of palazzos and dupatta makes an excellent contrast. 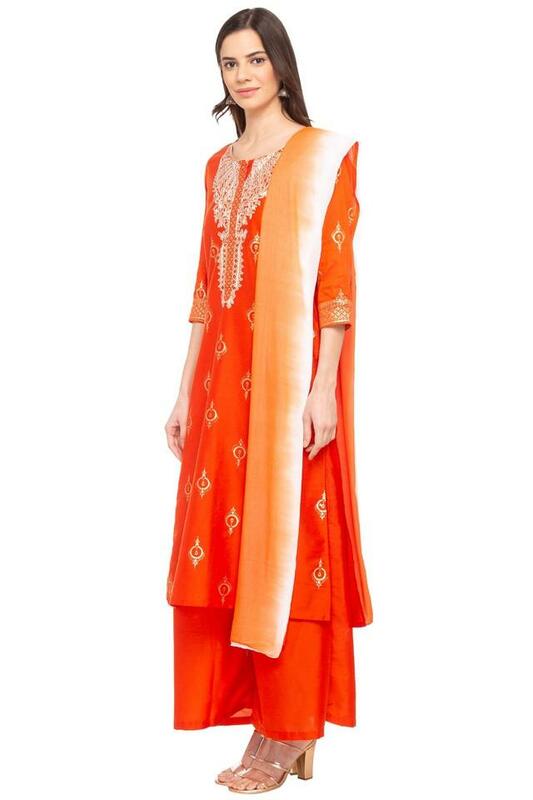 This suit has been made from a good quality fabric that makes it comfortable to wear for long hours.